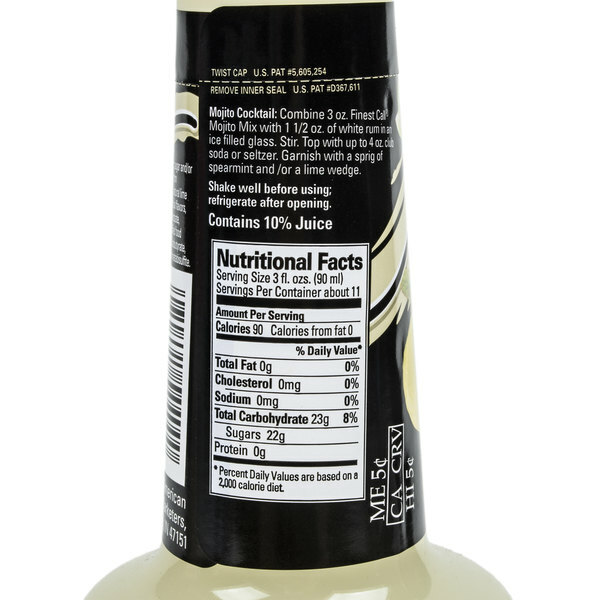 Mix up the perfect drink at your bar with the Finest Call 1 liter premium mojito drink mix. Cool, crisp, minty mojitos on a hot summer day are the best way to make customers flock to your outdoor bar or patio. Thanks to this Finest Call premium mojito mix, making mouthwatering mojitos has never been easier! Just combine 3 oz. 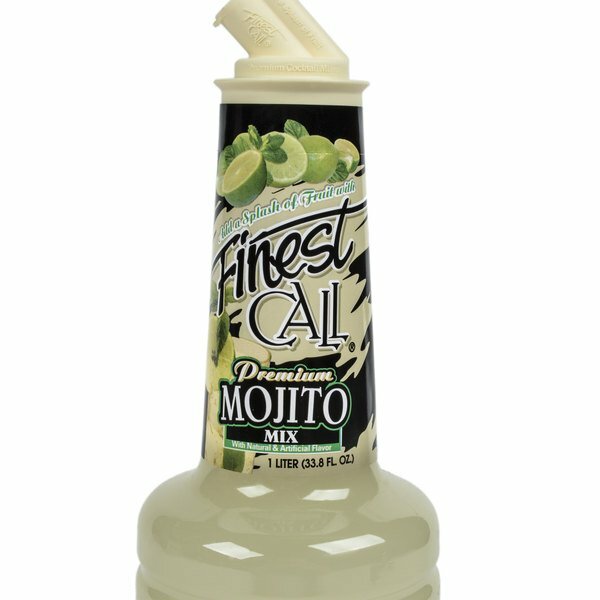 Finest Call premium mojito mix with 1.5 oz. of your favorite white rum in any ice-filled glass to serve up this refreshing drink! Its user-friendly packaging, sleek design, and patented pourer top make this mix a smart addition to any bar service. Refrigerate after opening. "Tried making a mojito from scratch and what a pain. This mix is exactly what you need. Great flavor and the cost is great as well even with shipping." This drink mix is made of a delicious blend of lime juice and other fresh flavors that produces a consistent, quality mojito every time. Its perfect blend of fresh mint and real lime juice is sure to tempt your customers into ordering another round. Each bottle features Finest Call's patented pourer and closure cap that reduces drips to keep your bar free of spills and messes. The long bottle neck and pourer top help provide a perfect pour every time, while the closure cap solves the problem of storing any unused portions. Finest call has the best mixers. 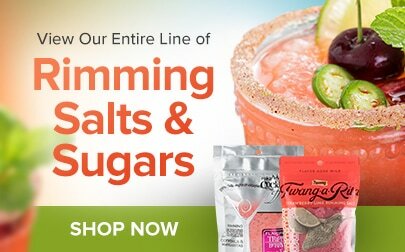 Their premium mojito mix is so convenient and so easy to use. All you have to do is add alcohol to it and it is ready to go. This mojito mix is really easy to make. All you need to do is add alcohol. I do recommend adding fresh mint it does make a big difference in taste. 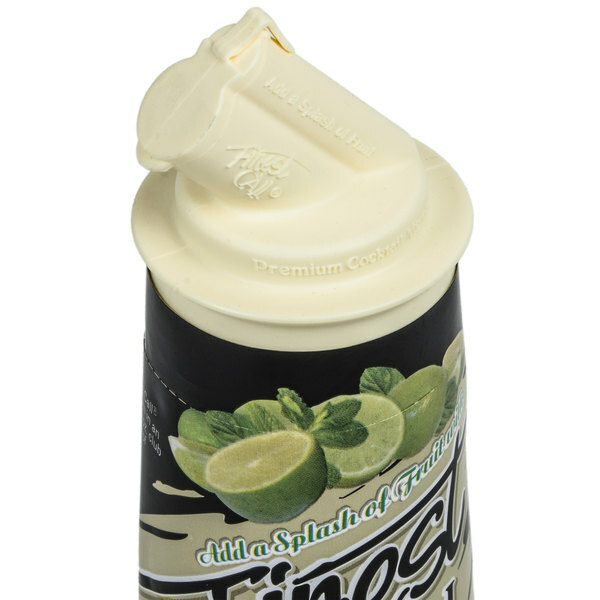 Finest Call 1 Liter Premium Mojito Mix makes for muddle-free Mojitos! Saves time without sacrificing flavor! Our guests have given us nothing but compliments on our drinks made with this Premium Mojito Mix! The premium mojito mix is great and is very fresh and minty. The mix is excellent for our tiki bar and is so easy to prepare. Just add rum and mint leaves to garnish. I purchased several of these Mojito cocktail mixers for my event, and me and my guests were not disappointed. Great size bottle, and sells for way less than any local retail store! This cocktail mixer had me feeling like I was a professional bartender! So easy to use to make the best Mojitos! Me and my guests were very satisfied! The Finest Call Premium Mojito Mix is amazing. Its light, and delicious. Exactly how a mojito is supposed to taste, and the best part, you dont have to buy individual ingrediants! This is a great mixer and the price is good. I purchased for a bar and these pour bottles are the best. Would recommend for your next party. 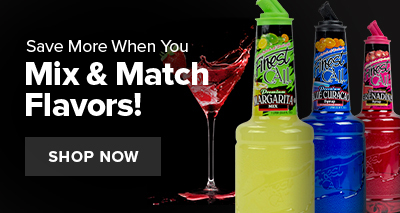 When it comes to cocktail drink mixes, there is no other brand that I trust more than I trust finest call. It has always made great mojito's and I love it. The Finest Call premium mojito mix is refreshing. A nice cool minty flavor and great for making our blueberry mint martinis. Great mint style mix. Finest call has a great variety of bar mixes that are excellent quality and reasonably priced. The mojito mix is super refreshing and tastes great. A wonderful mojito mix that is very good and minty. No more making your own mixes that do not turn out. Just simply add rum to the mix for an irresistible mojito cocktail. So happy! I love this mix for my mojitos.. in my area very few places serve mojitos so buying this have been a good addition since now I can do my own at home. 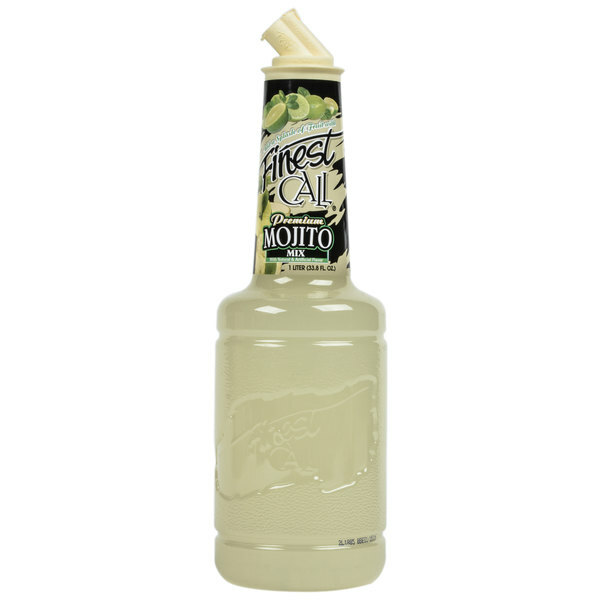 The Finest Call premium mojito mix is refreshing, minty mix that is great for combining with rum to make a great cocktail. 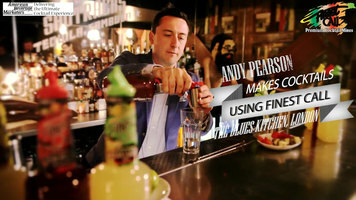 The mix is a lifesaver and helps me create top notch drinks quickly. You can not beat the variety and quality of Finest Call drink mixes. Their mojito is great and is packed full of that great minty flavor I love. A great mix to make restaurant quality drinks at home. Just add a few mint leaves and lime, and the Perfect mojito! !! This one is my favorite Finest Call drink mix. Blends well with juices or spirits. The mix certainly makes life easier. It tastes pretty good but not great. I'm used to making it from scratch so whereas this is a tremendous time saver, it comes at a cost. The Finest call Premium Mohito mix in a 1 liter bottle is a delicious and quick way to whip up a fresh Mohito. I use coconut rum instead and fresh mint and lime slices from my garden. Always the hit of the dinner party and most requested signature drink. Excellant price highly recommend this product.